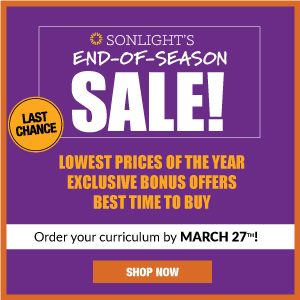 I read this article and wanted to share it with you: Three Reasons to Read Out Loud to Kids Who Know How to Read https://blog.sonlight.com/three-reasons-to-read-out-loud-to-kids-who-know-how-to-read.html. 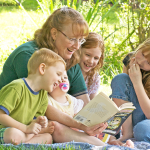 But once children can read for themselves, parents often assume their days of reading aloud are done. In fact, a survey by children’s book publisher Scholastic showed that most parents stop reading to their children by age six. 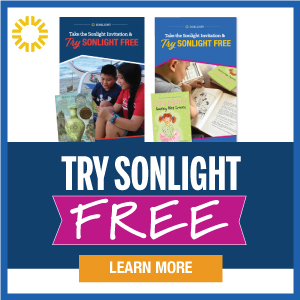 Sonlight parents, though, don’t stop reading to their children at six. 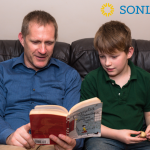 Instead, Sonlight’s programs include Read-Alouds all the way through middle school. Here are three reasons why. 1. 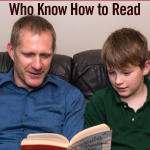 Children want their parents to read to them. 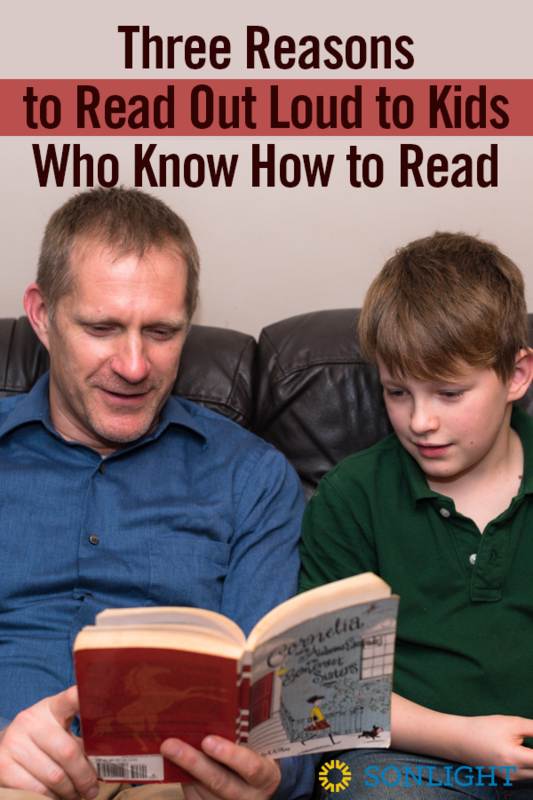 One of the surprising findings in the Scholastic survey I mentioned is that many children wish their parents had continued to read aloud to them after they could read for themselves. Children love the special time and shared experiences of reading together. Even if older children don't want to sit on your lap like they did when they were three, they still enjoy the experience of sharing a book with you. 2. 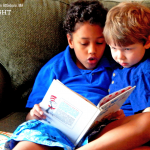 Children have a "reading gap." 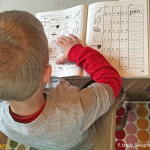 Until eighth grade or so, children can comprehend a much higher level of writing when it's read out loud to them than they can when they read on their own. This “reading gap” happens because the mechanics of reading can be tricky. It’s similar, perhaps, to writing. You know that when a child is just learning to form her letters, she can only write a few very simple words, though she could tell you a much more complicated story when she's talking to you. It's similar with reading. Reading out loud to your children up through eighth grade helps them access ideas, vocabulary, and concepts that would otherwise be out of reach. Just because your children wouldn’t want to read a book to themselves doesn't mean it's not perfect for them if you read it out loud. 3. Reading together builds relationships. Reading together is such a precious time to spend with your children. It's a break from a busy day, as you get to slow down and immerse yourselves in a story together. When you share a book, you and your children will go on remarkable adventures together—through history and throughout the world. Reading together also provides opportunities for your children to ask you questions about things they wonder about, such as love, loss, careers, family, and what it means to follow God. 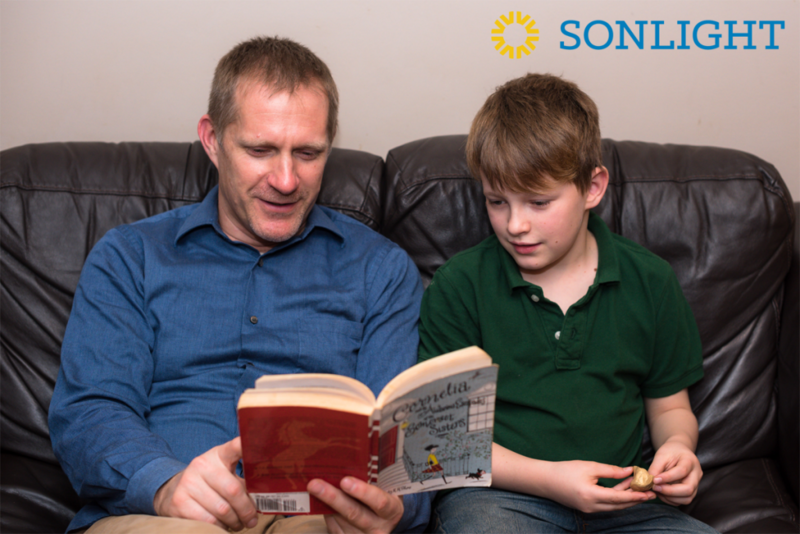 Many Sonlight families say that inside jokes from books they've shared together have become part of their family culture. Your school-age children want you to read to them. You not only help them academically when you read aloud to them, but you also expand their understanding of the world and deepen your relationship with them. 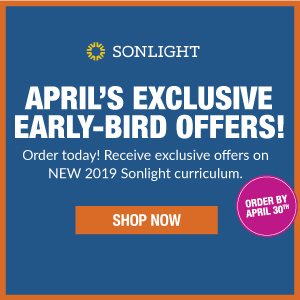 To find out more about Sonlight’s unmatched Read-Alouds, and our complete book-based homeschool programs, order a complimentary copy of your catalog today. I read to my children until they told me they preferred to read on their own. My son, our oldest, preferred that I read out loud to him, even in High School. He just graduated from college with a degree in teaching high school sciences. My youngest son and his girlfriend will read a book together, taking turns to read out loud. 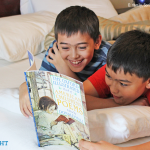 Reading aloud to my children is one of my most favorite and precious memories. They are all young adults now, walking with the Lord and seeking to serve Him. I am so grateful for Sonlight for guidance and encouragement to teach my children in a different way! My son & I read aloud taking turns because my voice would not sustain reading aloud for long periods. Then we realized we could read faster silently, so we would sit side by side reading and stopping to discuss whenever either of us had a question or comment. Now he is in his last semester of high school and has commented several times that he misses spending significant amounts of our days reading together (due to time pressures we are mostly reading separately this year and discussing later). I miss those times too - but I am not planning to read college texts with him! 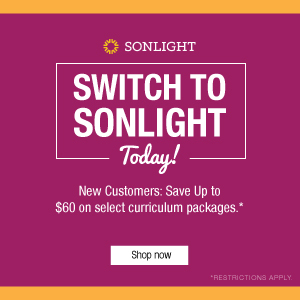 I am thrilled we found Sonlight at the beginning - it has been a great experience reading such wonderful literature. I am sold on the idea of reading to my kids, and with my ten-year-old daughter, it is still very effective, even though she reads extremely well on her own. I'm not sure how well it's working for my eight-year-old son, though. He has a rich imagination and it seems to me that he often checks out of what I'm reading--something more engaging is happening in his own mind. I'm tempted to make him read it on his own instead. I understand where he's coming from; I can't handle audiobooks, because my mind wanders--I have to read things for myself, and I wonder if he's wired the same way.